After departing from the Wild South office, we will begin hiking in from the Borden Creek trailhead on Bunyan Hill Road. Work will begin after crossing Borden Creek to get on trail 207. 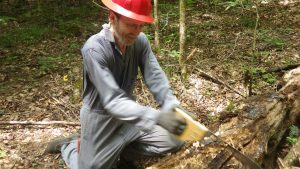 Trail maintenance will involve using loppers, hand pruners and saws to trim back encroaching vegetation and clear blockages created by downed trees. We will also be addressing the problem of young trees that have been cut off to tall stobs all along the trail. 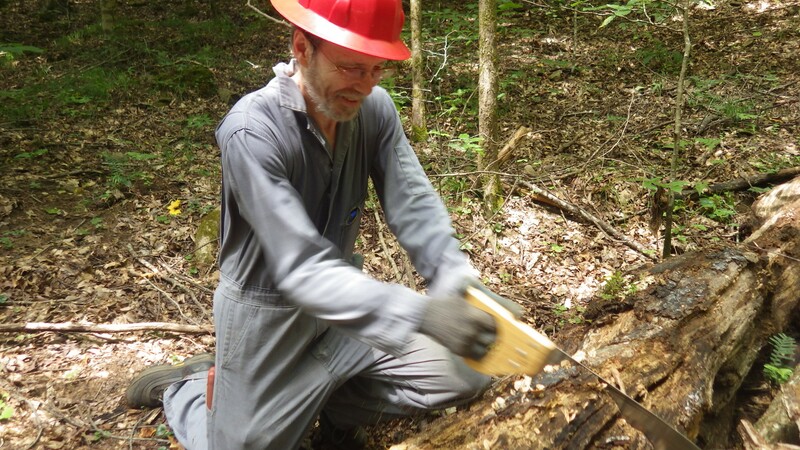 Kneeling, stooping, bending over and hiking while carrying all hand tools can be expected. Total hiking distance will be around 4 miles, round trip. This includes crossing Borden Creek twice (probably no higher than ankle or mid-calf deep depending on rainfall this week). All tools and safety gear will be provided. If you have a hard hat, please bring it. Wear clothing comfortable for summer hiking but protective against sharp tools and briars. Long pants and sturdy, closed-toe shoes or boots are recommended. Protect yourself against ticks. We recommend the use of permethrin products, such as Permanone or Sawyers, the kind you spray on your clothes and allow to dry completely before you put them on. Ticks are thriving and numerous right now and protecting against diseases they carry is very important. Dogs are not allowed on work projects. If meeting the group at the trailhead works best, let us know when you sign up. 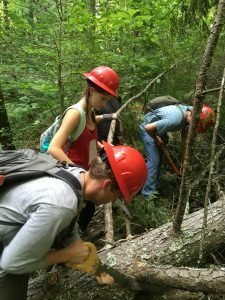 Wild South’s Helping Hands Volunteer Program is funded by the generous donations of individuals and in part by a grant from the Walker Area Community Foundation.